We created this post in late 2008, right after the release of ‘Pictures and the Stories they Tell‘ by Frank Caperton and Susan Daniel. Toby Francis and Ernie Johns provided many of the photos, many being old Polaroids that were sitting in a shoe box! 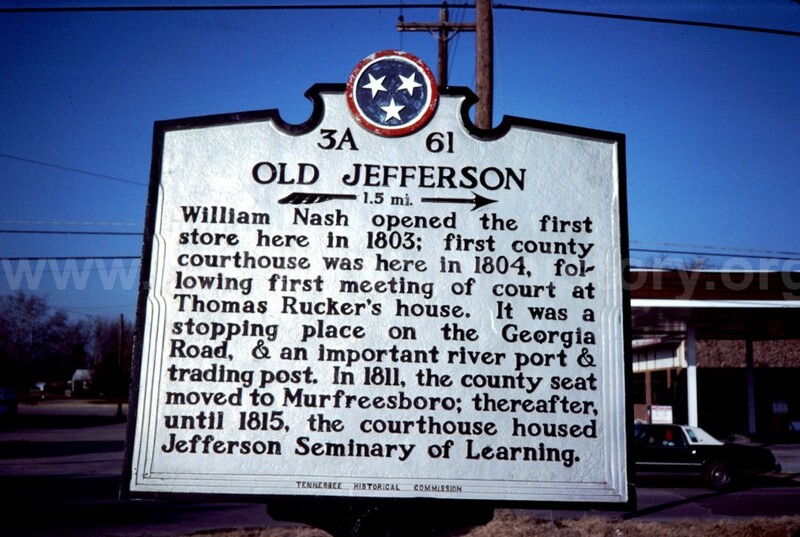 Click here for a detailed story by Kevin Markuson concerning the history of the Old Town of Jefferson. 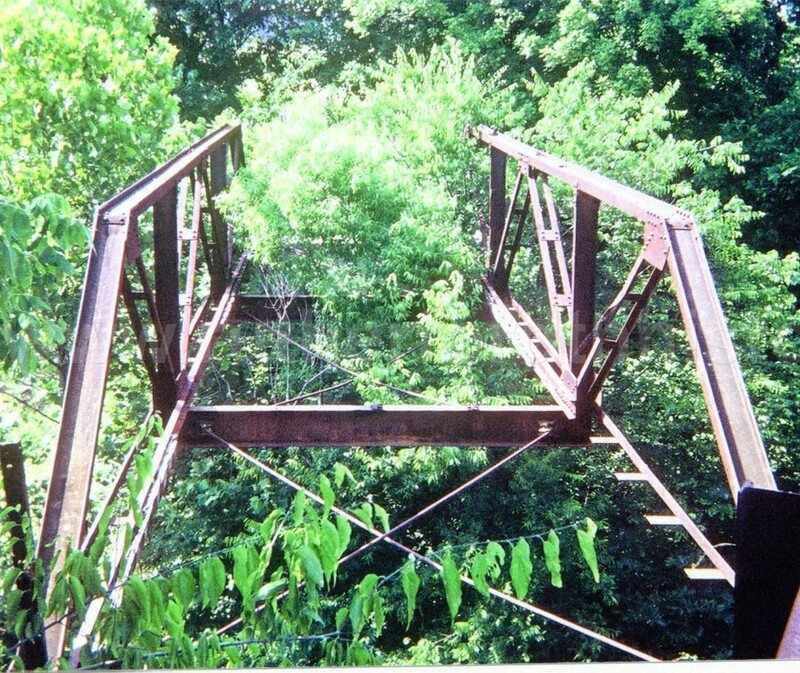 The Iron Bridge at Jefferson Springs. 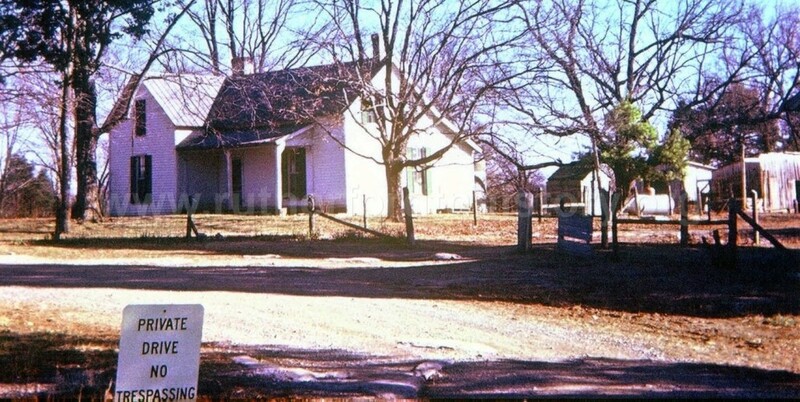 Note the Sulphur Springs Store to the left. This was taken from the soon-to-be-completed J. Percy Priest Dam. 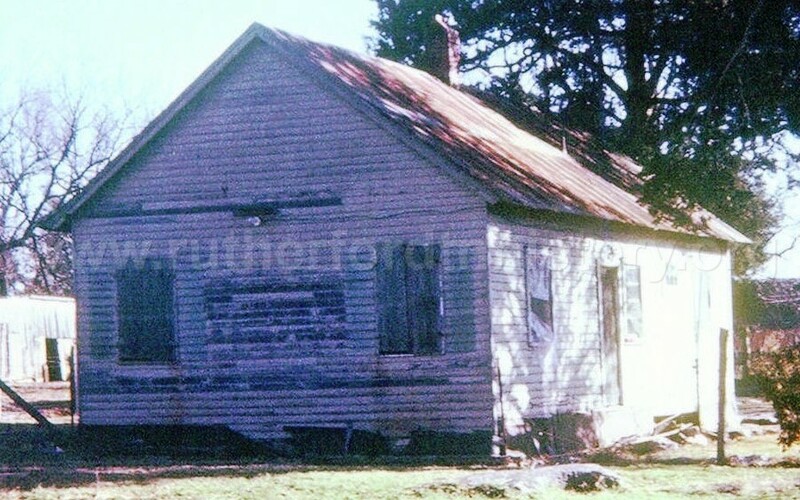 The Denny Store at Jefferson Springs (1930). 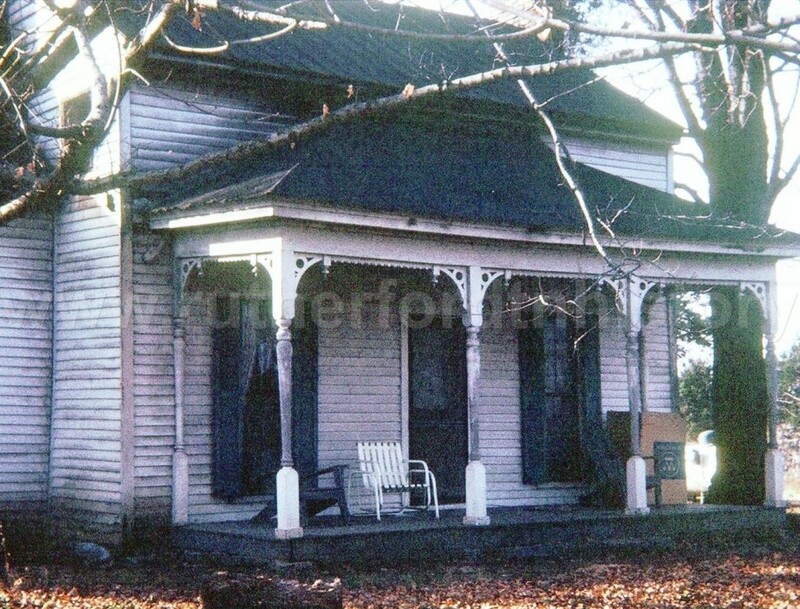 Daniel R. and Henry L. Crutcher built the Crutcher-Hunter-McKennon-Henderson home on Lamar Road c1852. 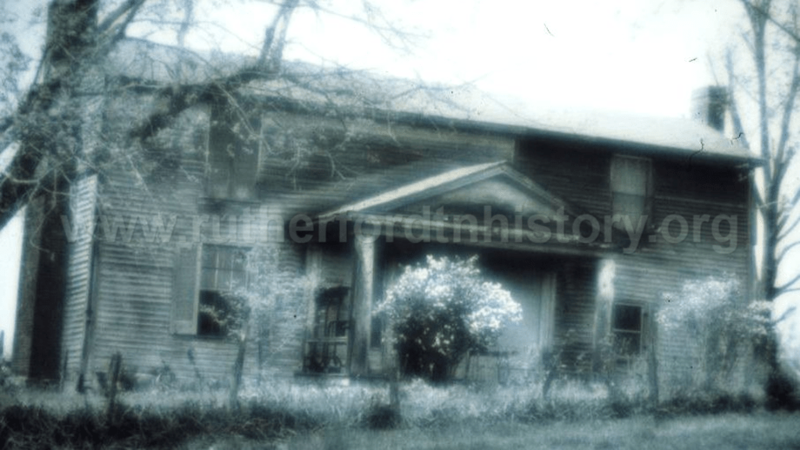 David F. and Rebecca Rowlette Hunter purchased it in 1862; then Confederate veteran Leroy McKennon in 1884 (he also operated the Lamar Mill). 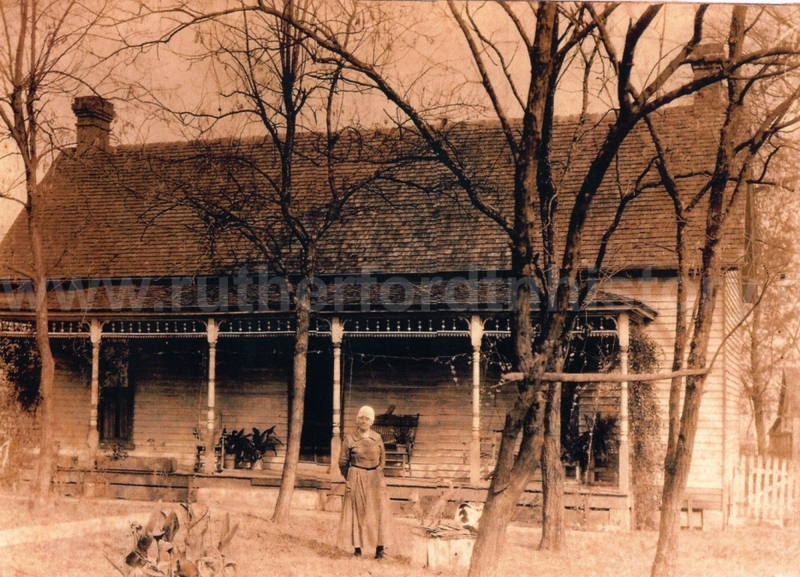 Robert ‘Tab’ Clarence Henderson and wife Hattie Roberta Phiilips Henderson bought the home in 1915 living there till the home and land were condemned in 1966. 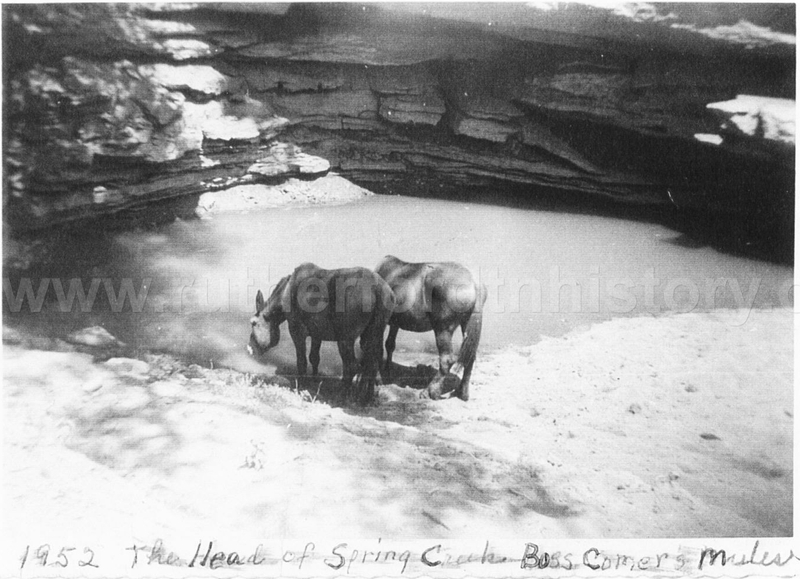 Boss Comer’s mules at the head of Spring Creek, 1952. Irvin Swain house being prepared to be moved. The Irvin Swain was moved to the Fall Creek area. 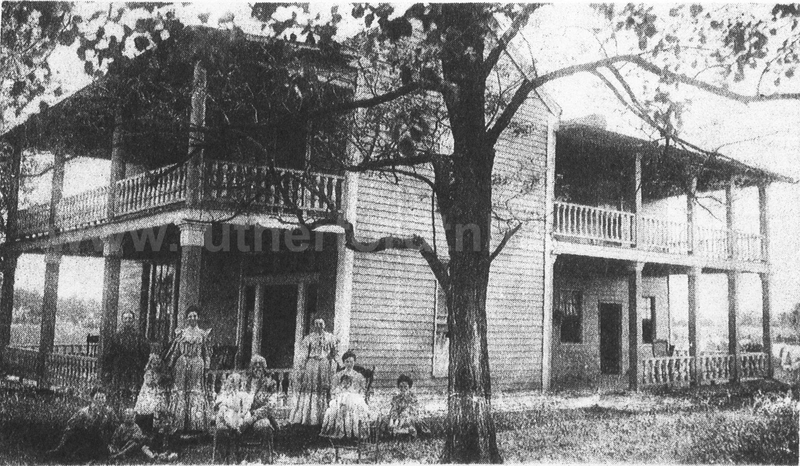 Some of the Ephraim Waller family is shown at the home-place in Jefferson somewhere between 1905-1910. 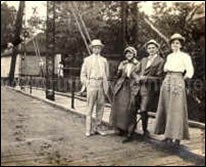 In the picture are Ollie Waller King, Mrs. Ephram Waller, Emma Waller Ward, Ruby Ward, Marjorie Randolph Waller and Dinkie Wade Lenoir. 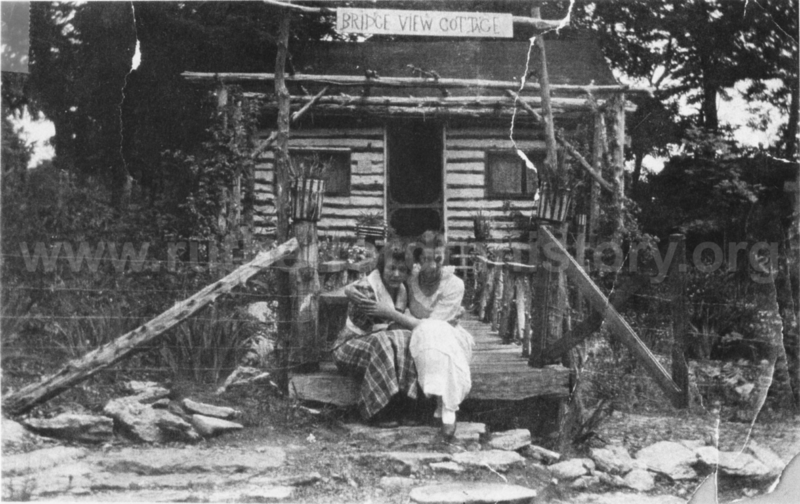 The home burned in the 1930s. 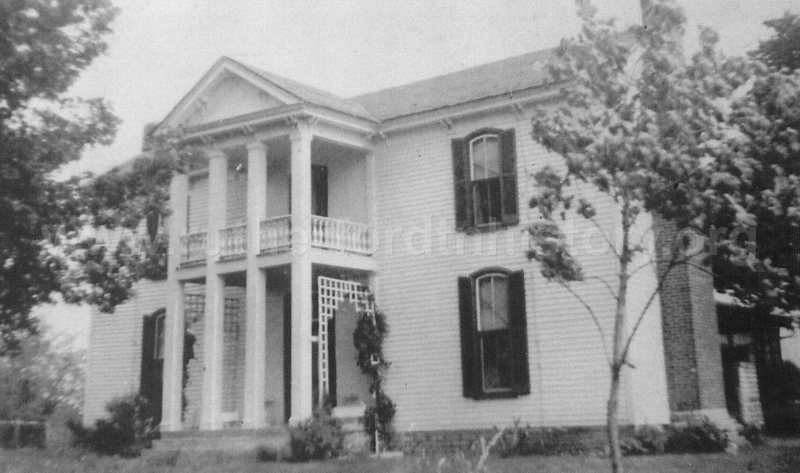 Former Confederate lieutenant John H. Adkerson built the Adkerson-Rushing-Adkerson house c1860 on Lamar Road. 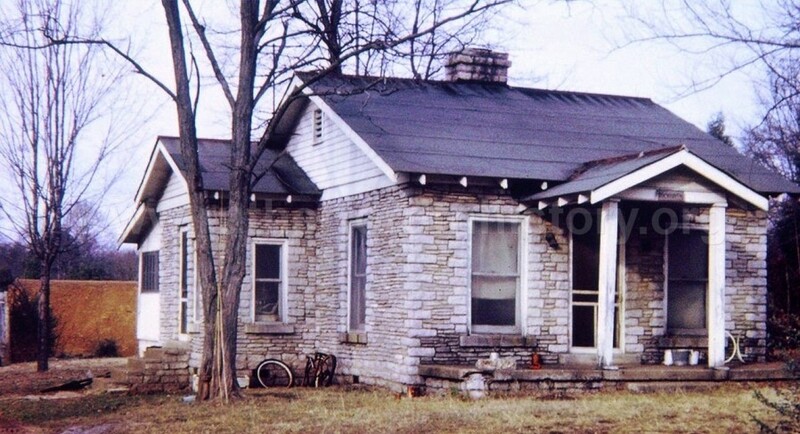 The home was condemned in 1966. 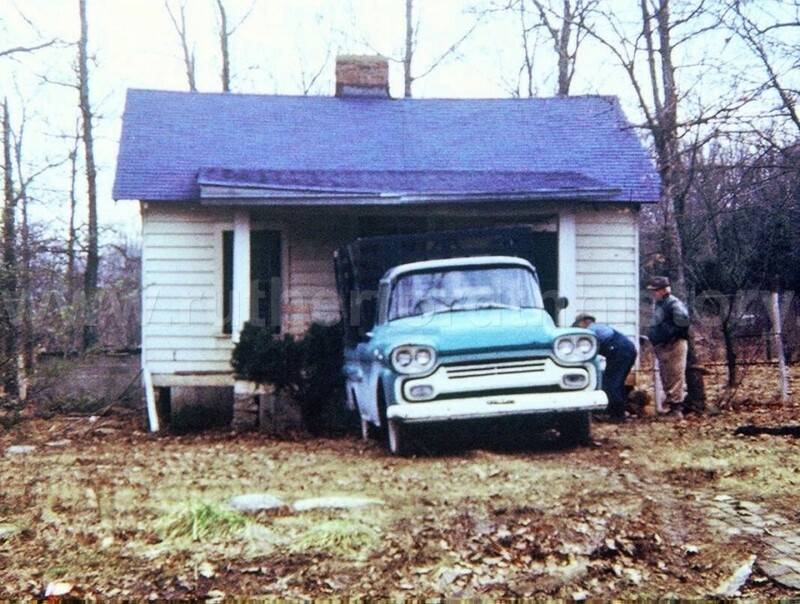 Rumors are that ‘hippies’ occupied the house soon after condemnation and caused a fire that almost destroyed the home. 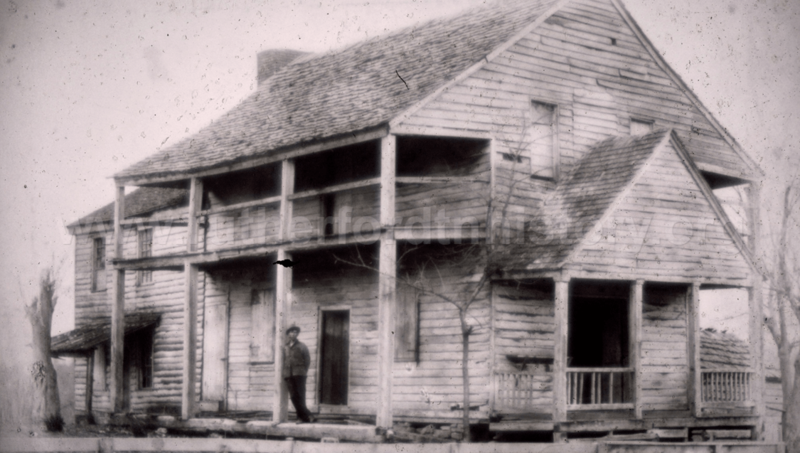 The Read Hotel in Jefferson (1803) – located on the east side of Jefferson‘s public square where it stood till 1892. 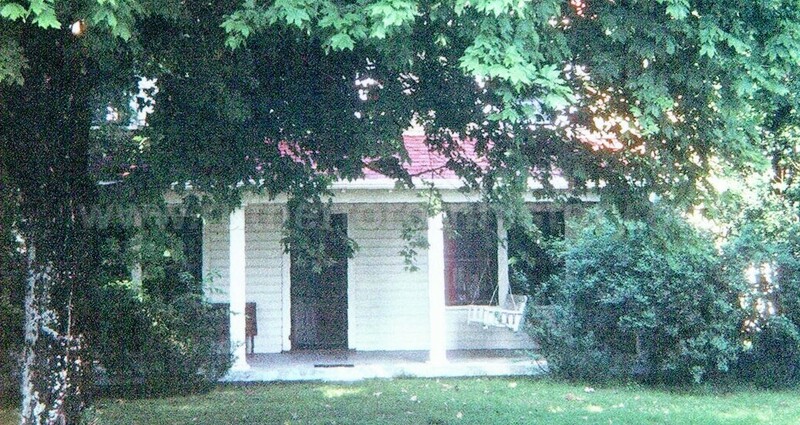 Andrew Jackson, Isaac Shelby, Sam Houston and other Tennessee luminaries were housed here during court sessions at Jefferson. 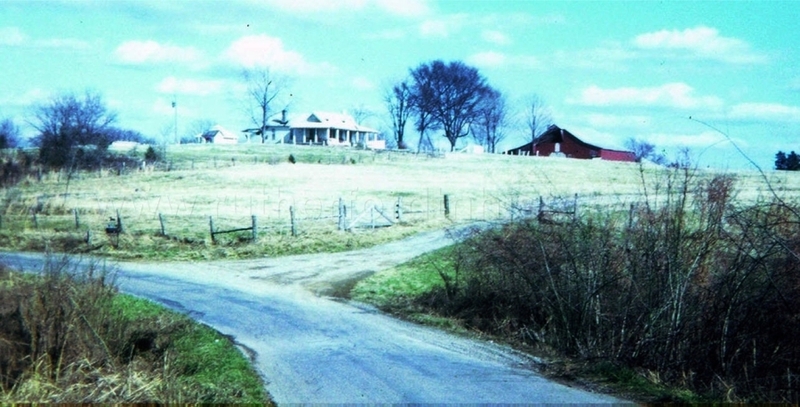 Shelton Crosthwaite once owned a large estate in Jefferson. 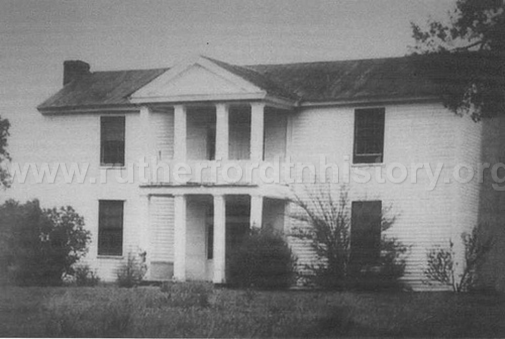 The property passed to his daughter, Rebecca Crosthwaite Ridley and her husband Bromfield Lewis Ridley, Sr. 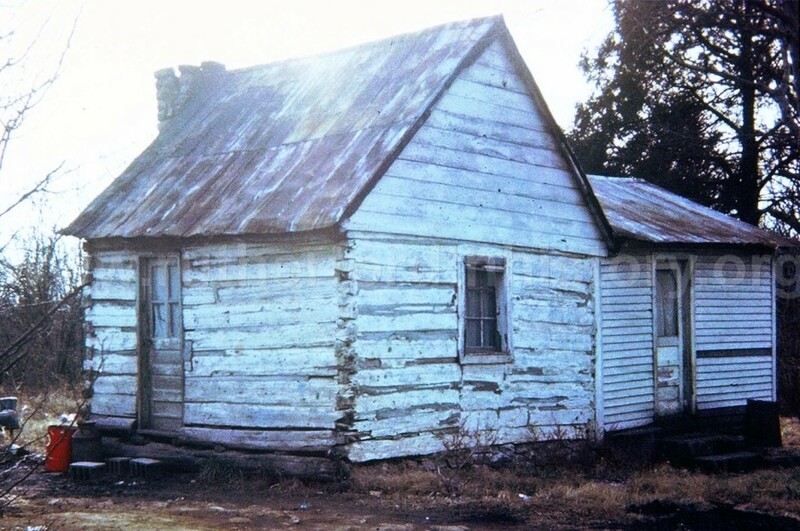 Many local favorites have called this home including William Lewis Davis (older brother of Confederate hero Sam Davis) Robert Trigg Bell, Jr., George C. Primm, Murray Miles and B.H. Hale. 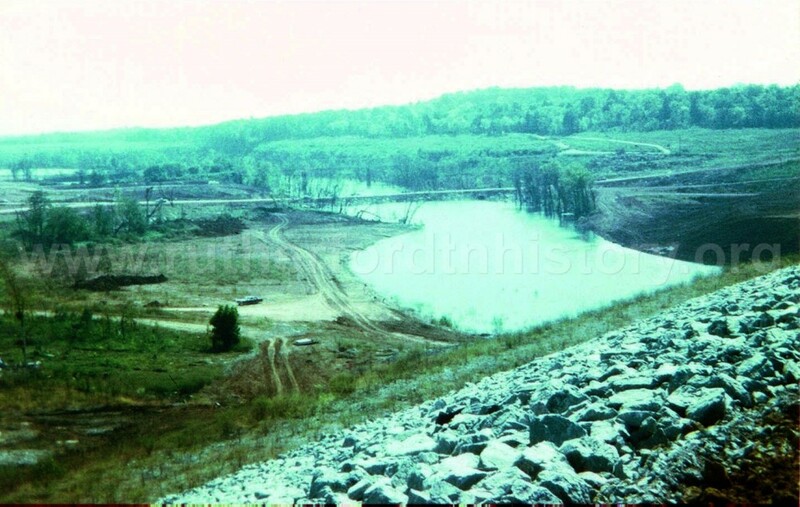 It was razed in 1966 for creation of Percy Priest reservoir. 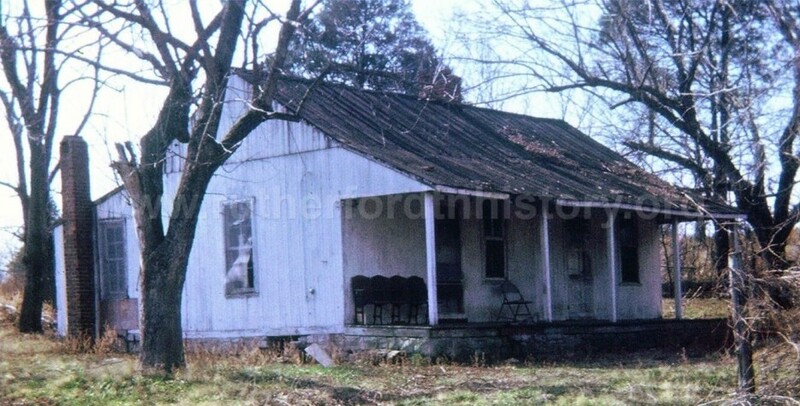 This home was once in the Smyrna/Jefferson area. 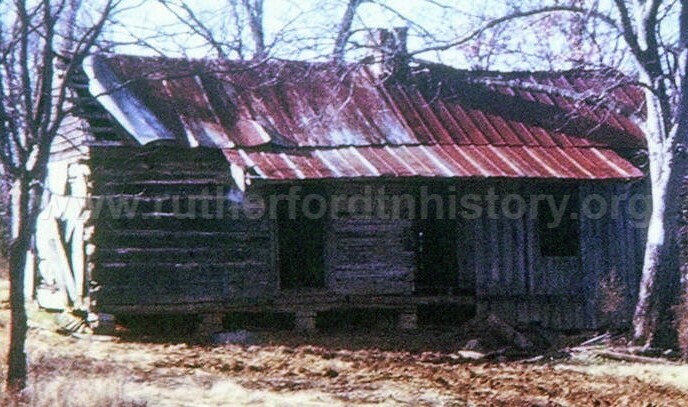 One of White‘s Cabins owned by Mr. and Mrs. John White of Murfreesboro. The White‘s daughter is pictured on the right. 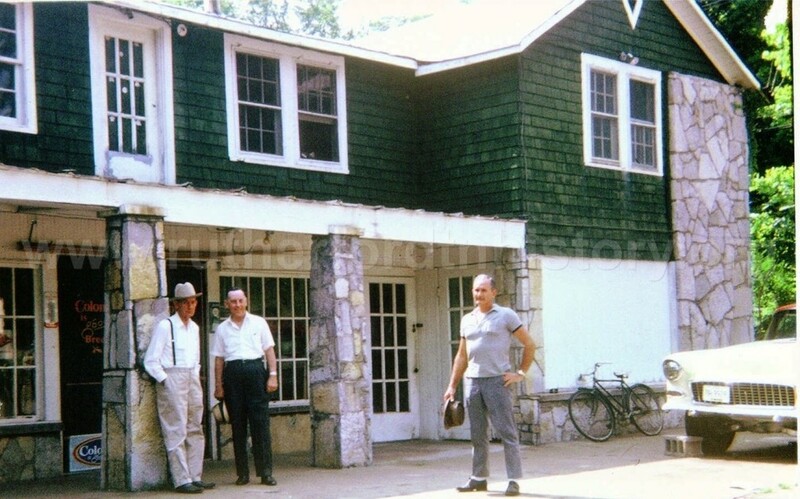 The cabins, or ‘camps‘, at Jefferson Springs were what we consider vacation homes today. 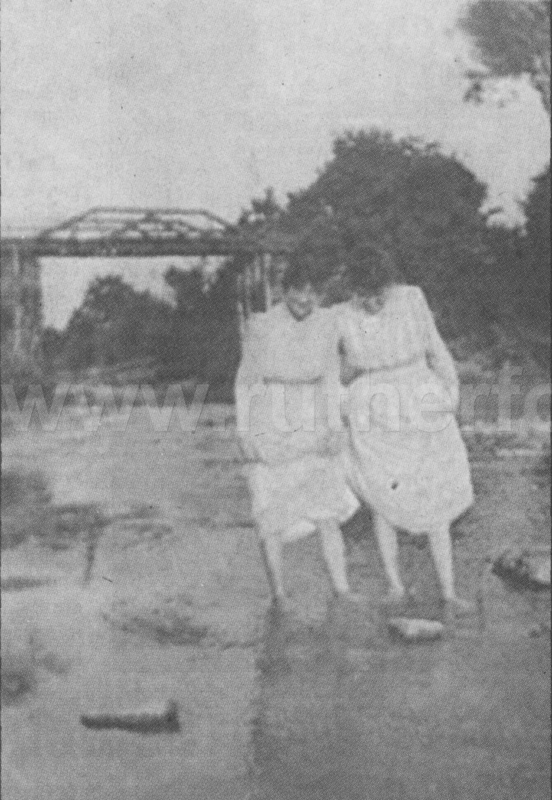 Two young ladies enjoy the cool waters near the Jefferson Springs bridge. 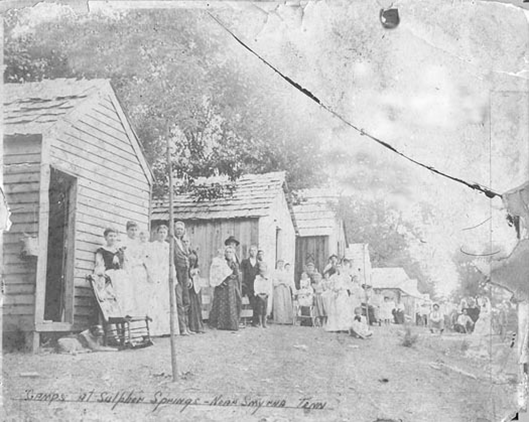 Camp at “Sulpher Springs” near Smyrna. Brink House on the corner of Jefferson Pike and Florence Road. 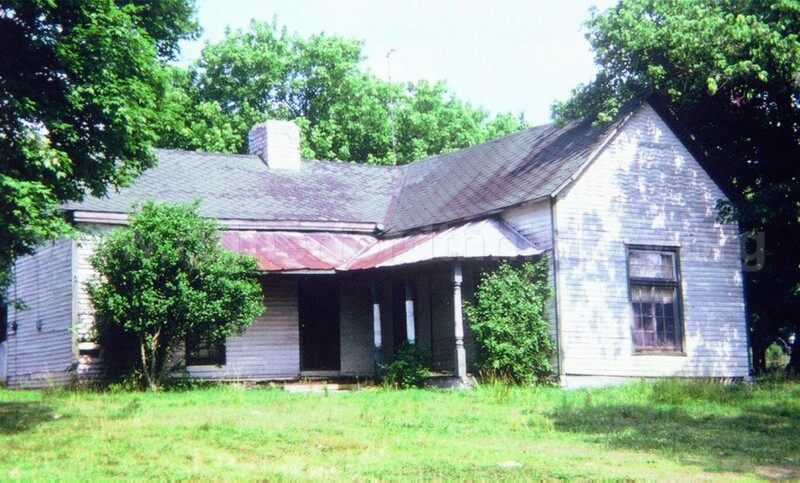 Bud and Pearl Mullins home. Buford Johns Place in Lamar. 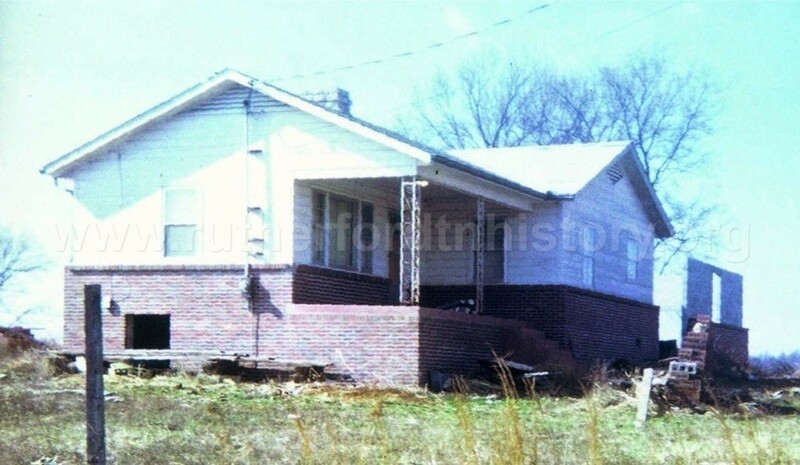 Clarence Earl Sanders house in the process of being moved. 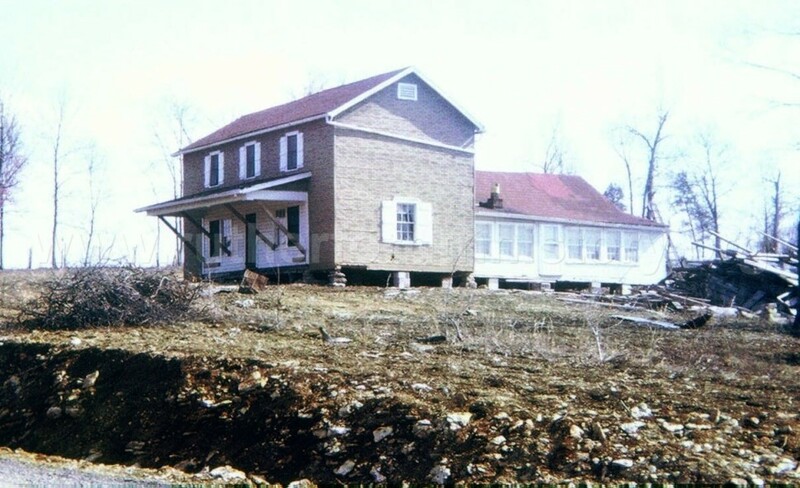 Clarence Russell house after being moved. 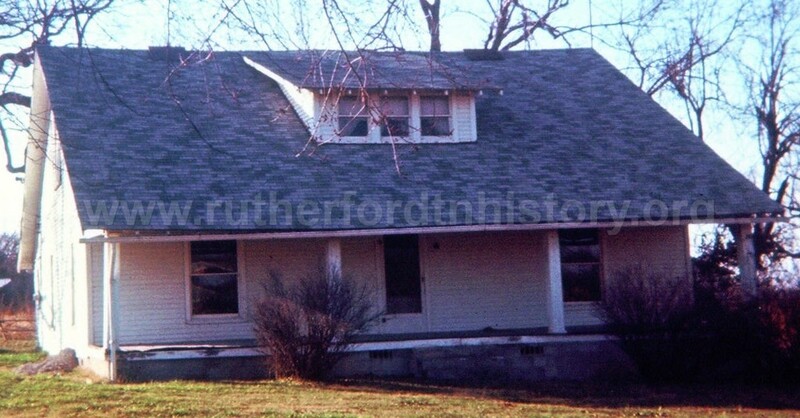 The old Comer house, next to the West Fork Bridge, was owned by Bob Barrett. 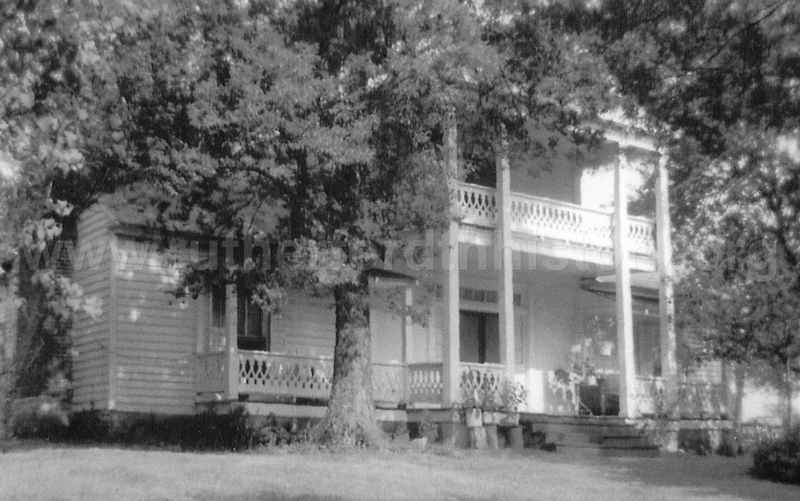 Unidentified home in the old town of Jefferson. Espey house, occupied by Leslie and Edna Wright. House on James Harrell place. 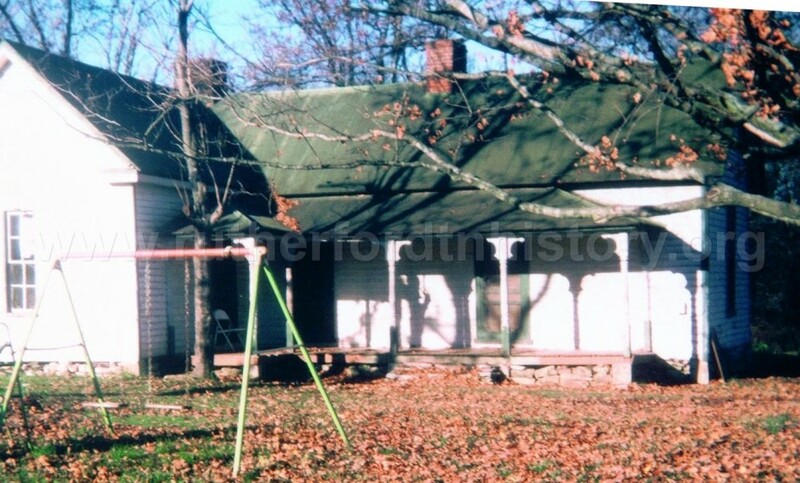 J.J. Anderson home in Jefferson Springs. Taken from the top of the newly built J. Percy Priest Dam, just as Stones River started backing up. 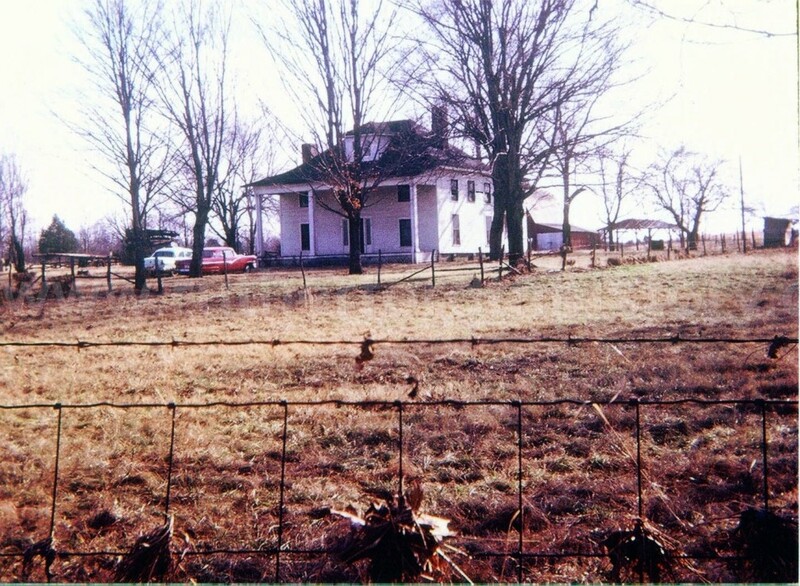 Walter Keeble Sr. and son Walter Jr. built this home in 1811. 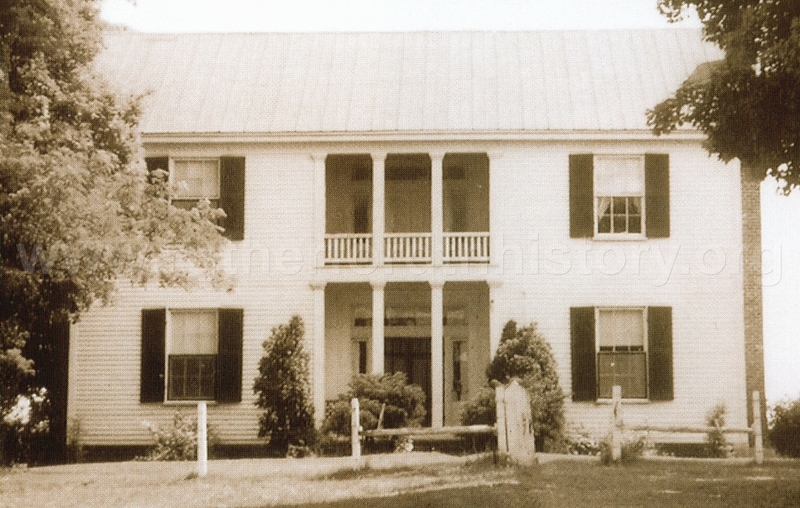 The home was passed to his daughter and husband, Dr. George W. Thompson and Mary Eliza Keeble Thompson in 1844. 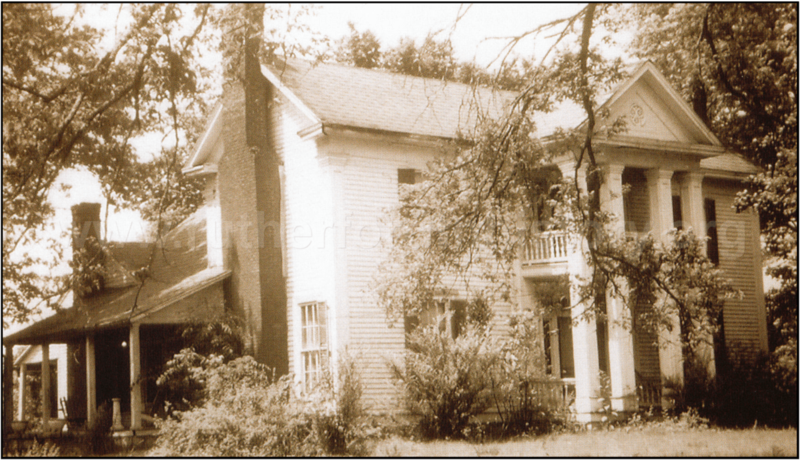 Thomas E. McCullough purchased the home in 1887 and resided there till 1928 when James Peyton Smith purchased the home. 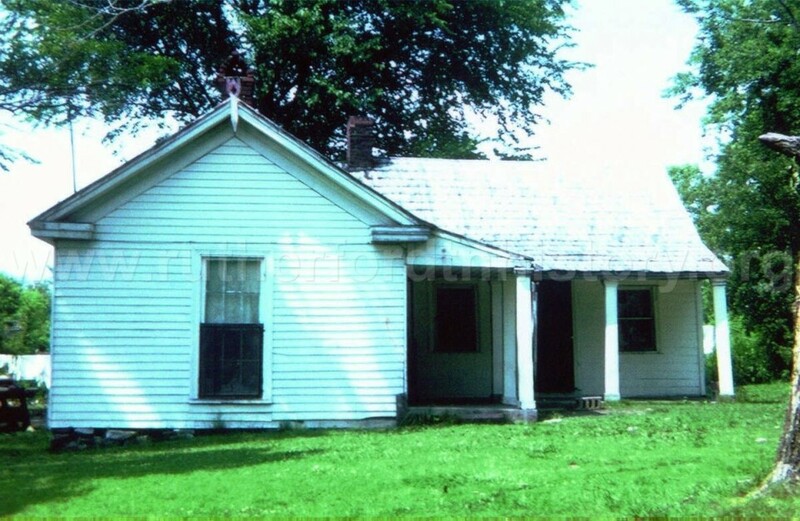 Leech Hall house located to the right of the Jefferson Store. 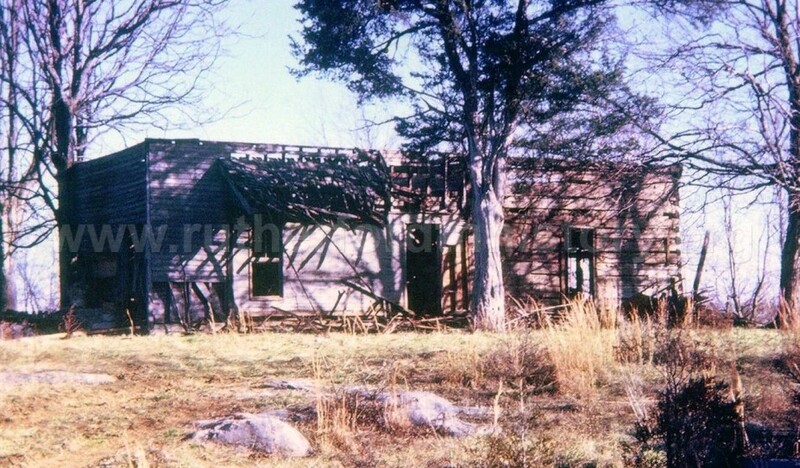 Leech Hall Wright cabin at Jefferson Springs. 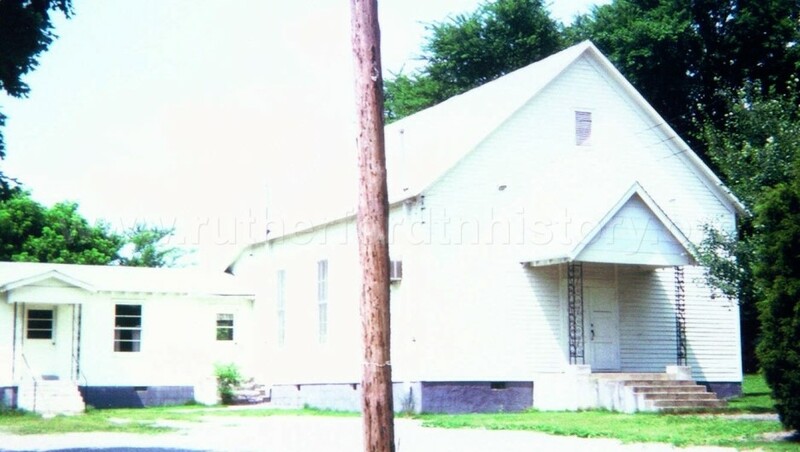 Lenoir house next to church. Mam Mag King Martin lived where Roy King’s house was built. 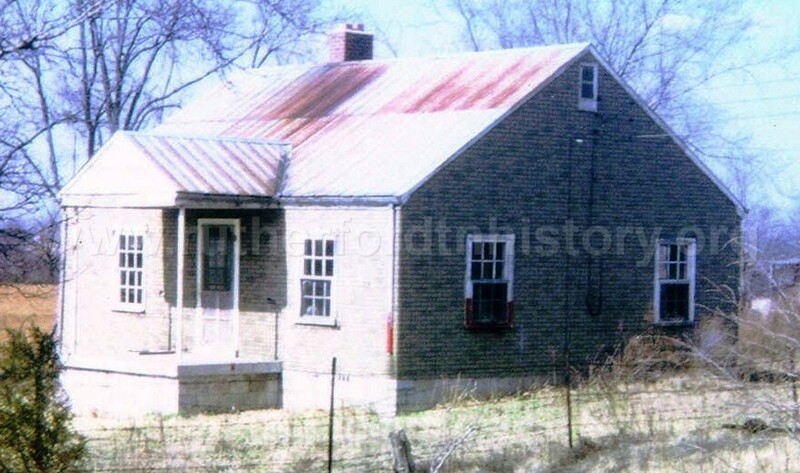 War of 1812 veteran John McGregor and wife Milbry Donelson McGregor built the McGregor-Gooch-Holloway house in the early 1830’s near the present day intersection of I-840 and West Jefferson Pike. 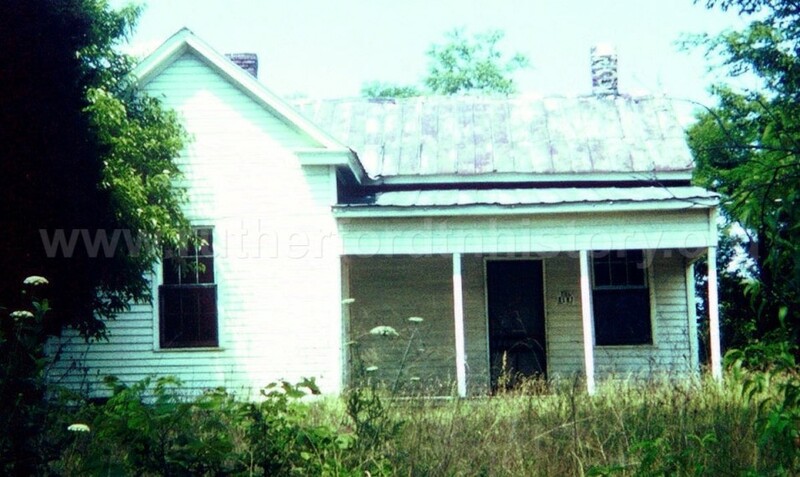 Both John and Milbry died before the house was completed, leaving six small children to be raised by relatives. 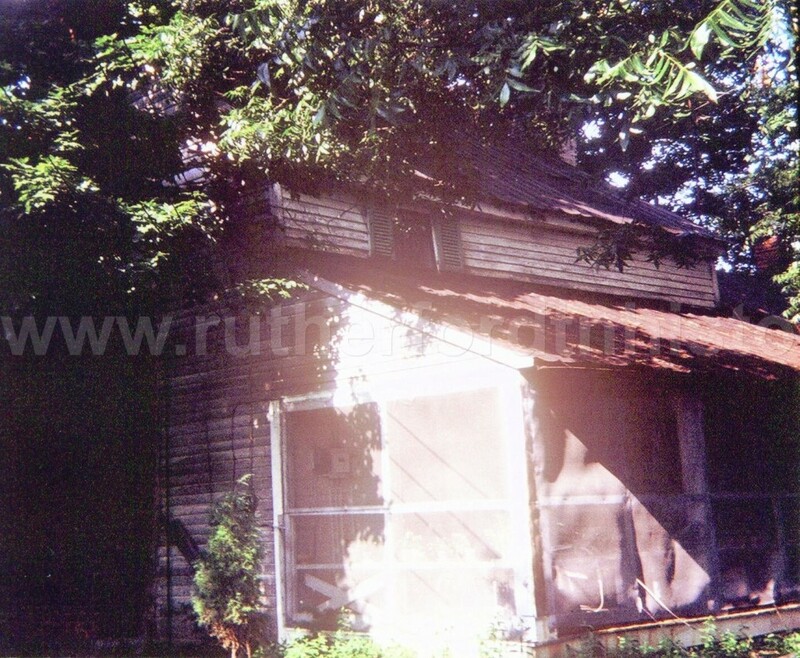 John’s brother, Ransford, completed the home. 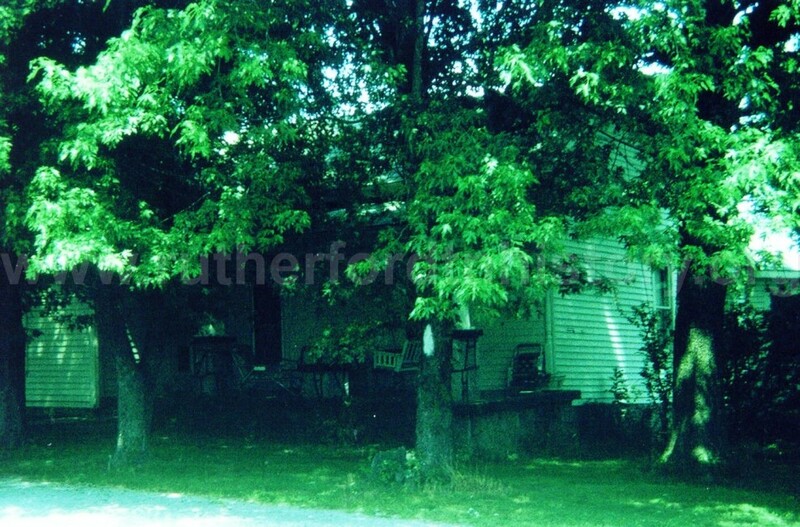 In the 1850’s the home was sold to the Gooch family. 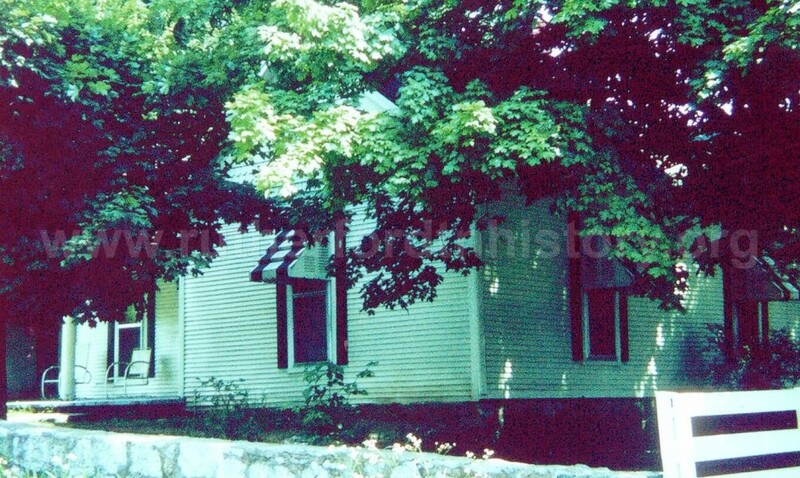 In 1889 Dr. Nathaniel F. Gooch sold the home to John Dayton Holloway and wife Elizabeth ‘Bettie’ Morton Holloway. 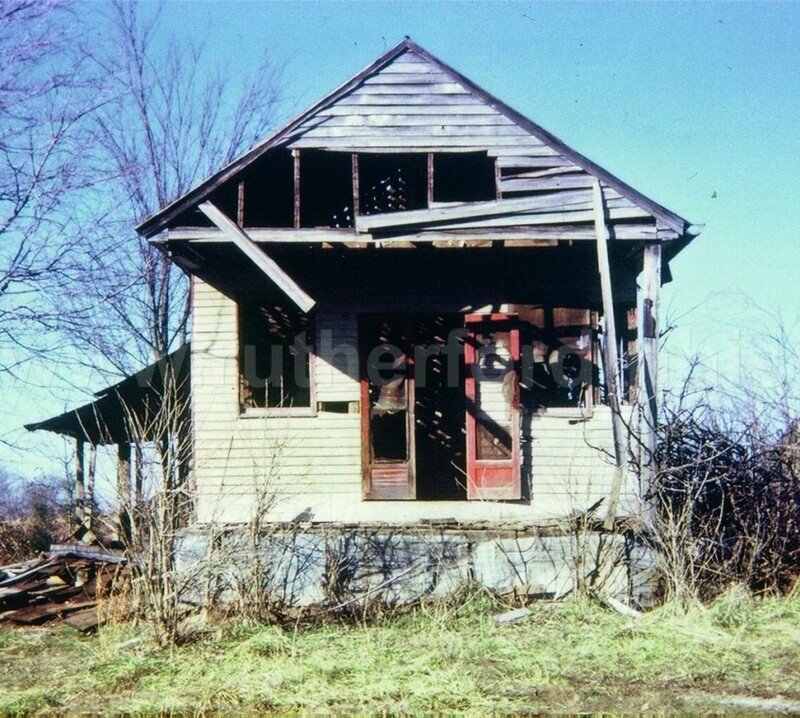 The home stayed in the Holloway family till destroyed by fire in the 1940’s. 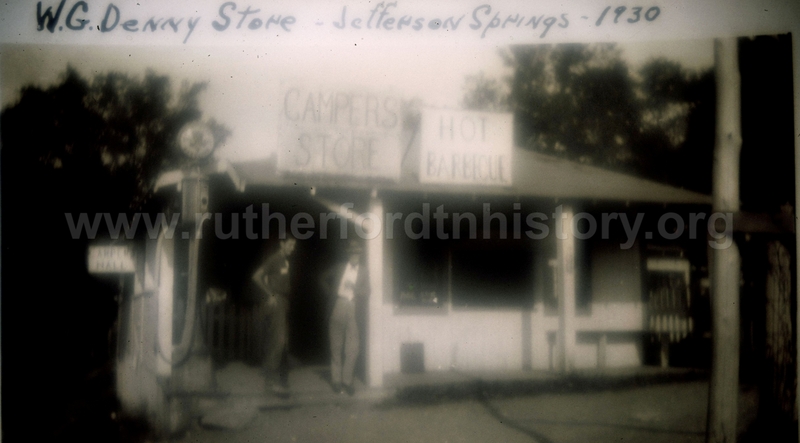 Jefferson Springs store. Pictured are Roy Hunter, Everette Waller and Wilson Francis. The store featured rooms for rent and even had a bowling alley. 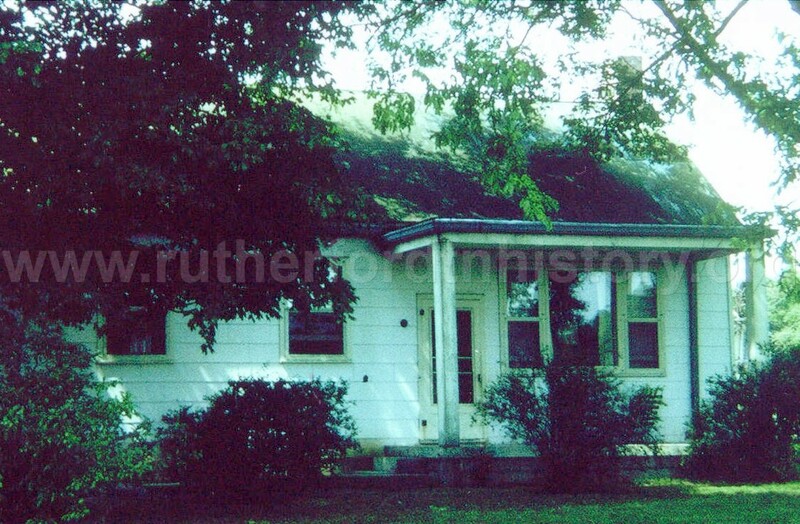 The store was operated by Robert and Ruth Rion. 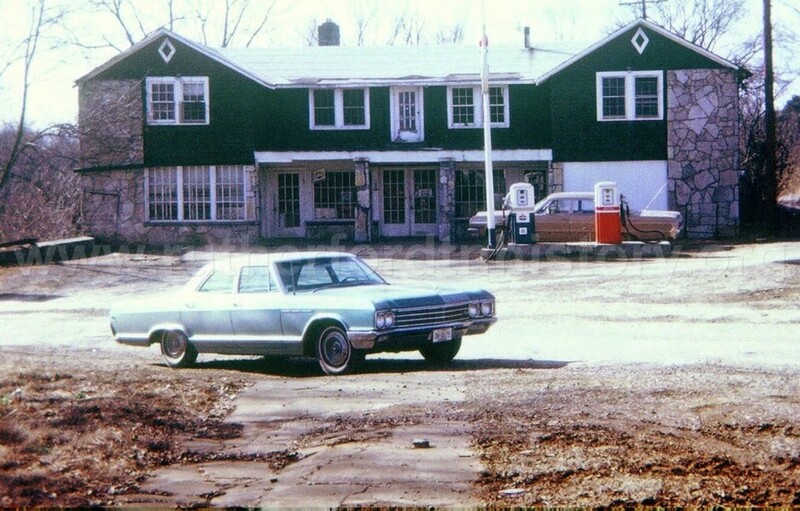 The car by the pumps belonged to their daughter, Frances. Danny Francis took this photo of the ld Jefferson School. 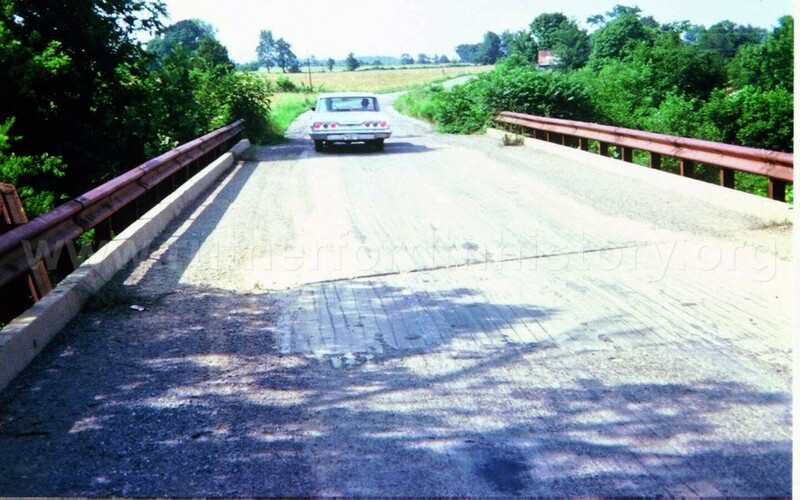 The new spring Creek bridge built just prior to the condemnation of the reservoir property. 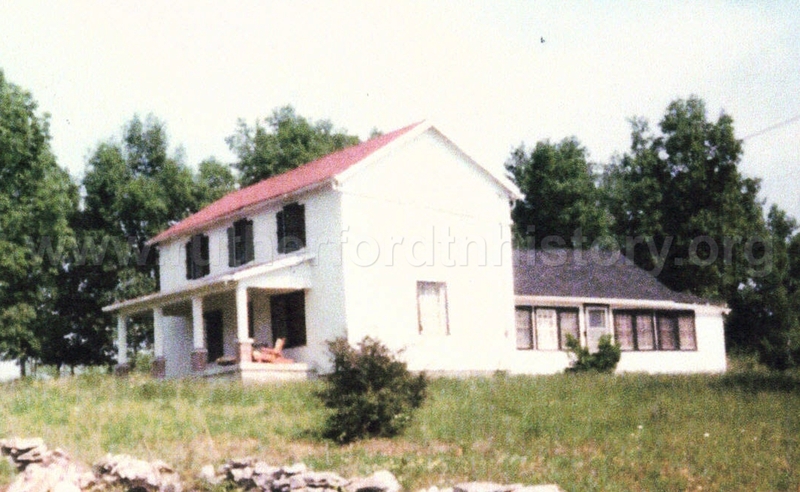 Jefferson Springs Resort was also known as “Sulpher Springs”. Note the spelling. 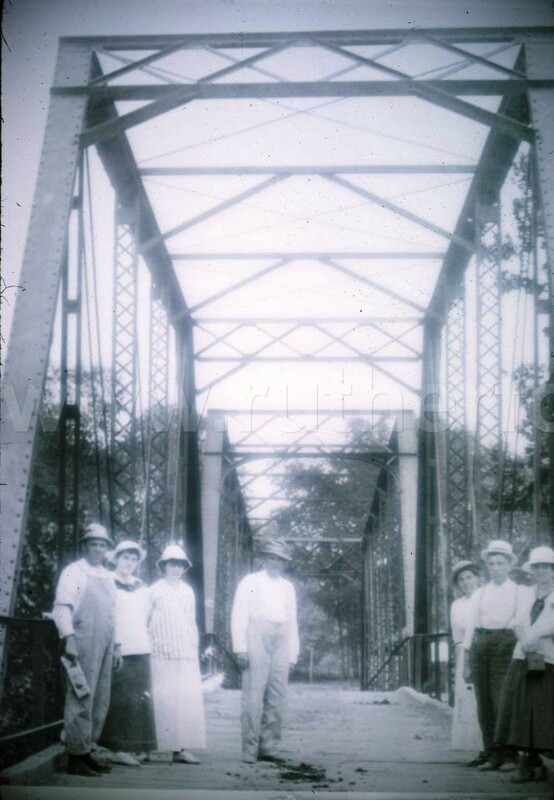 Note the bridge—this indicates the photo was taken after 1914. After years of use people had to reach deep down into the well to get to the sulphur water. 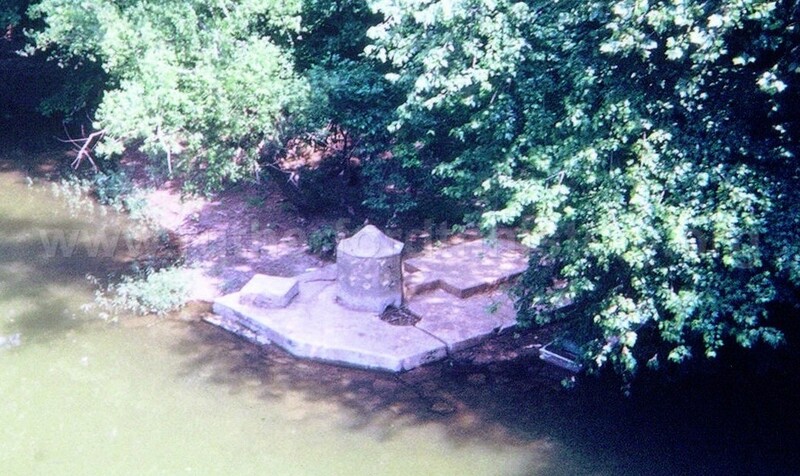 The spring known as ‘the Gum’ is shown just before the waters of Percy Priest Reservoir covered it forever. Thompson Ward Camp at Jefferson Springs. 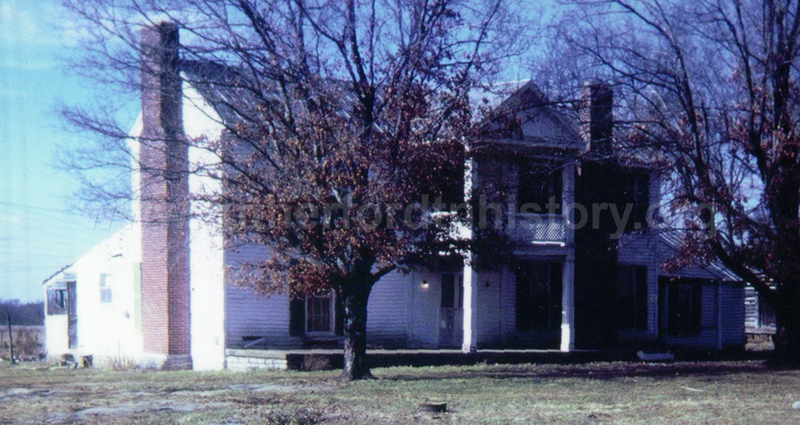 John W. Creech and wife Amanda Swain Creech built this home in the early 1850’s. 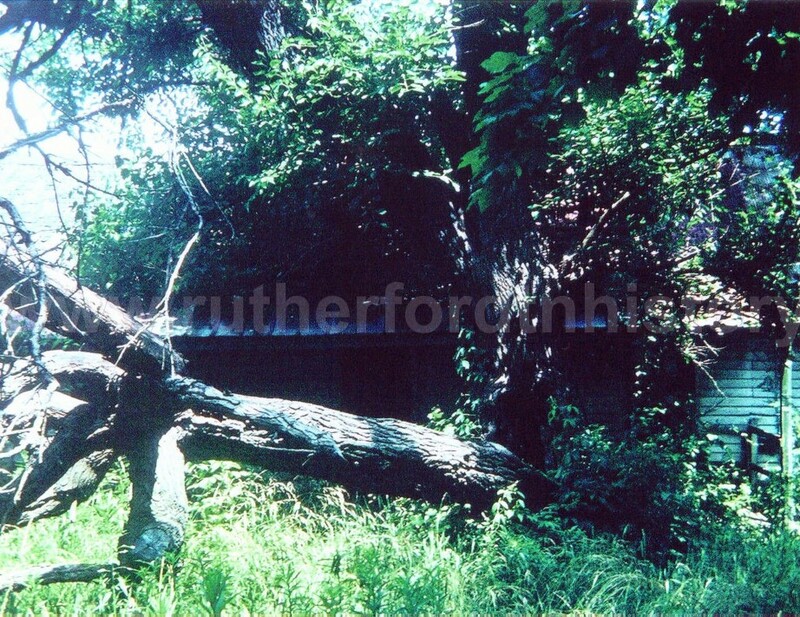 Should you take a walk in Old Jefferson be certain to walk south on ‘Creech’s Ford Road’ – the foundation from this home is still visible. The McClure Hotel. 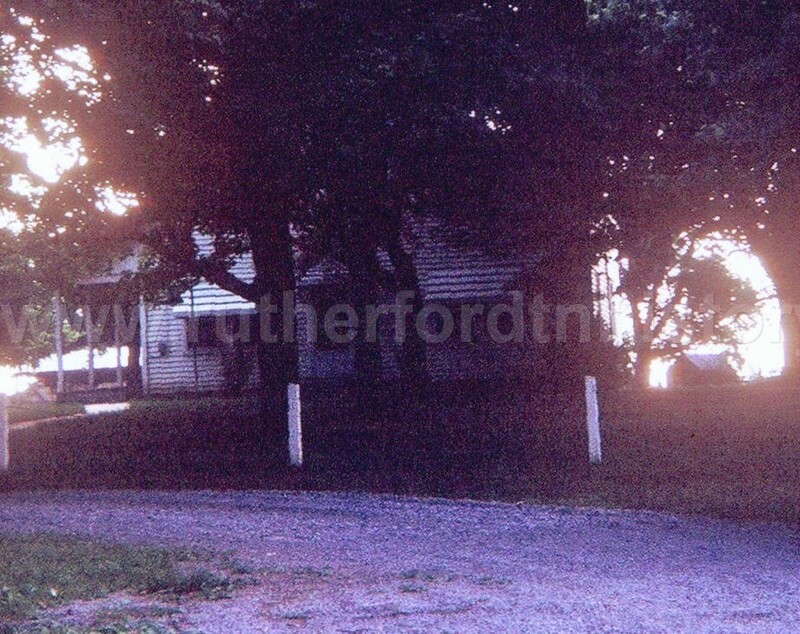 Jefferson Springs and Jefferson had hotels and boarding houses. 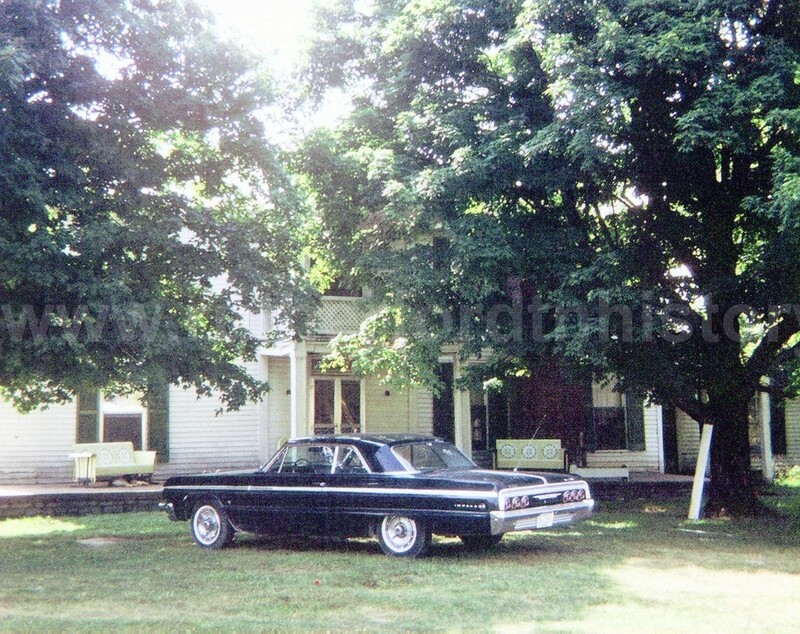 Pid and Prude Robinson home. 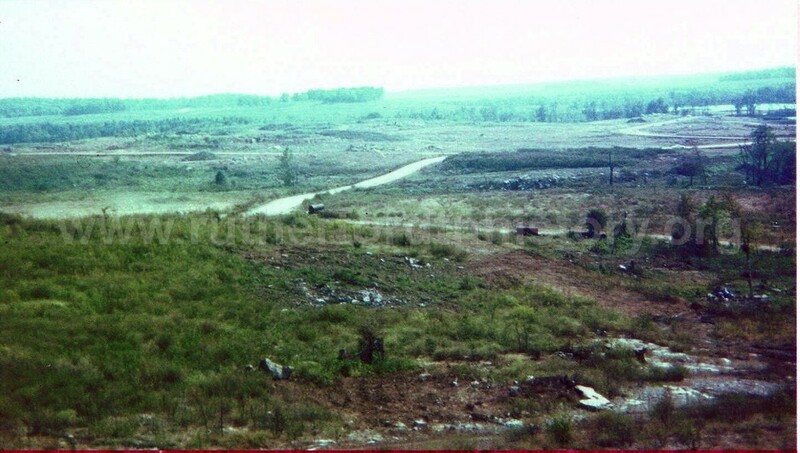 The ‘Gum’ prior to being covered by the waters of Percy Priest Reservoir. 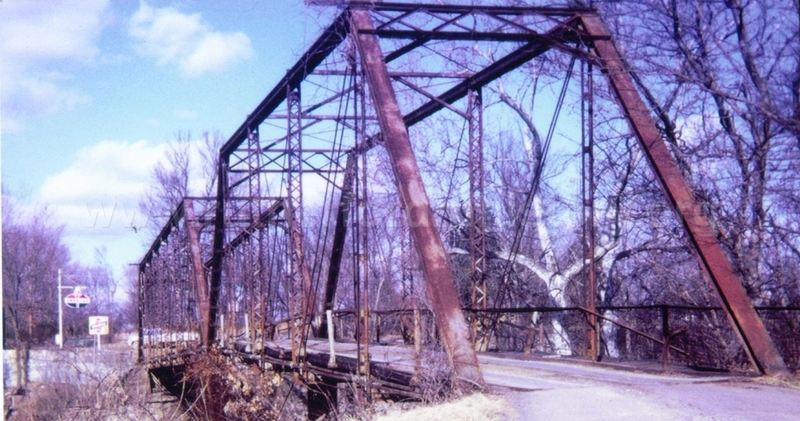 Bridge near Jefferson Springs. 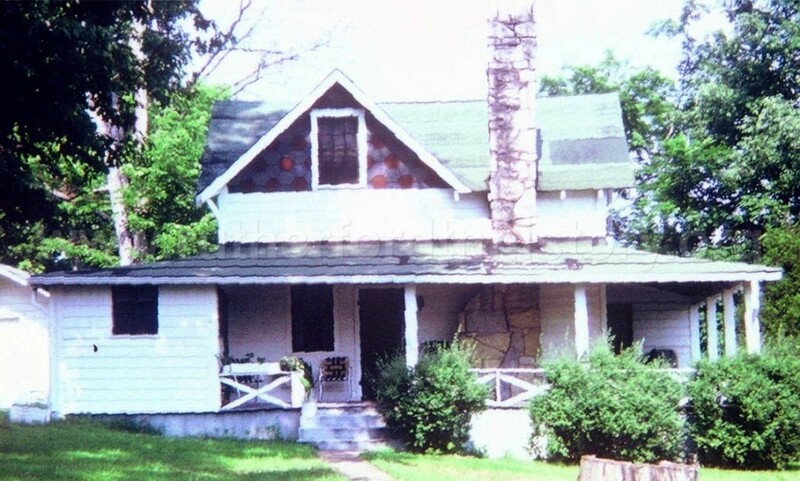 Jefferson Springs was a popular resort but has since disappeared with the creation of Percy Priest Res-ervoir. 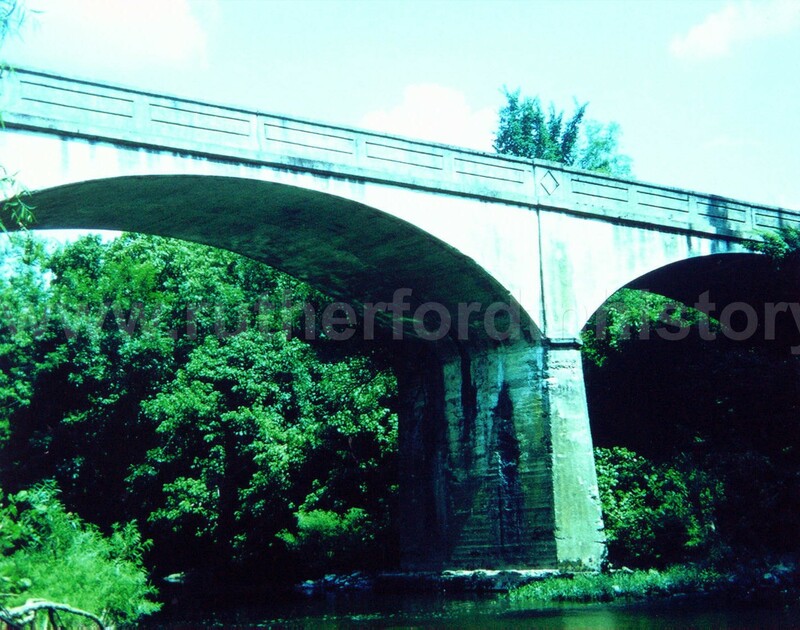 This bridge was built over the West Fork of the Stones River in 1914. 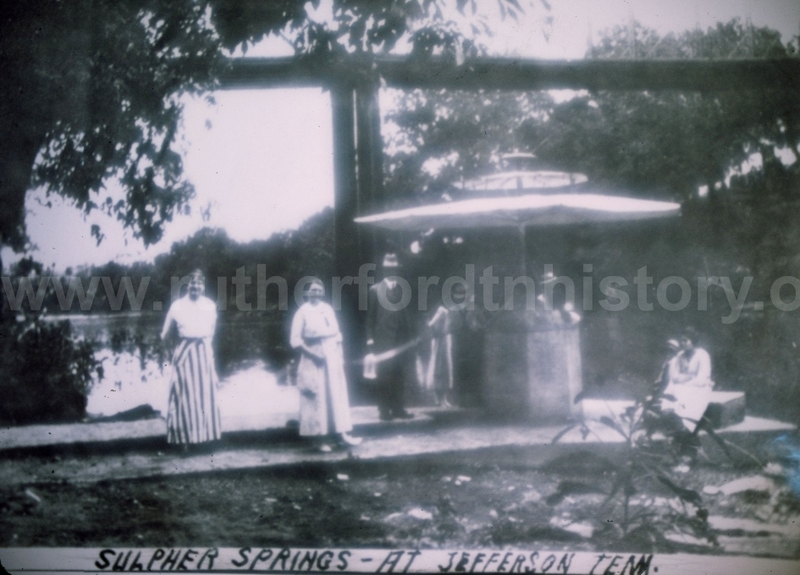 Jefferson Springs (also once known as “Sulpher Springs”) was located near Jefferson yet was a separate community. The story goes that people noticed cattle went out into the river everyday to a certain spot. These people investigated and found a spring of strong sulphur water bubbling up from the bottom of the river about 15 feet from shore. 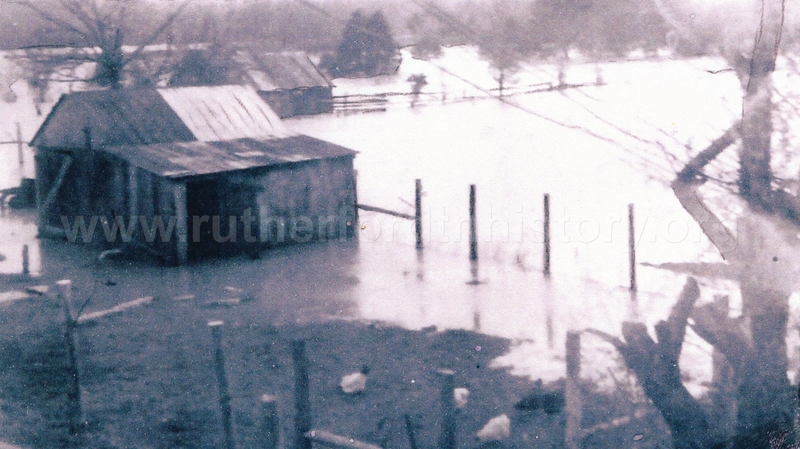 A coffer dam forced the water to the surface, and a resort developed at Jefferson Springs, four miles northeast of Smyrna. 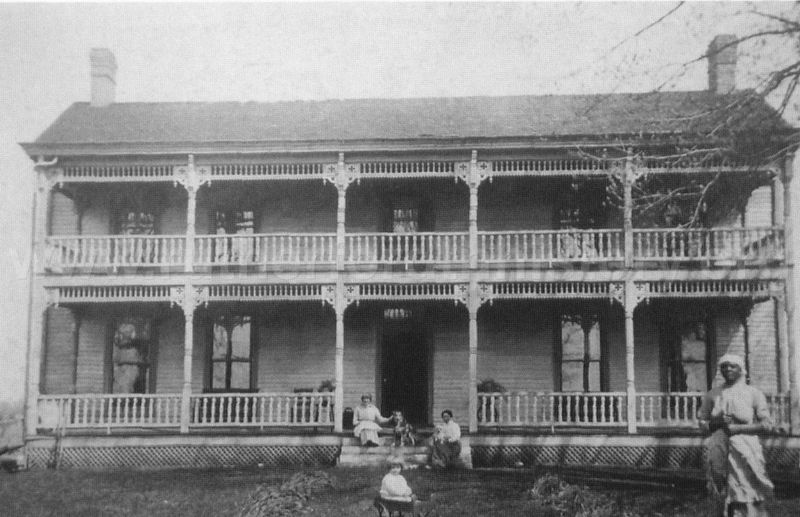 The early twentieth century found a hotel, boarding houses, and a number of cottages at the springs. Dancing, swimming, and boating occupied the vacationers. 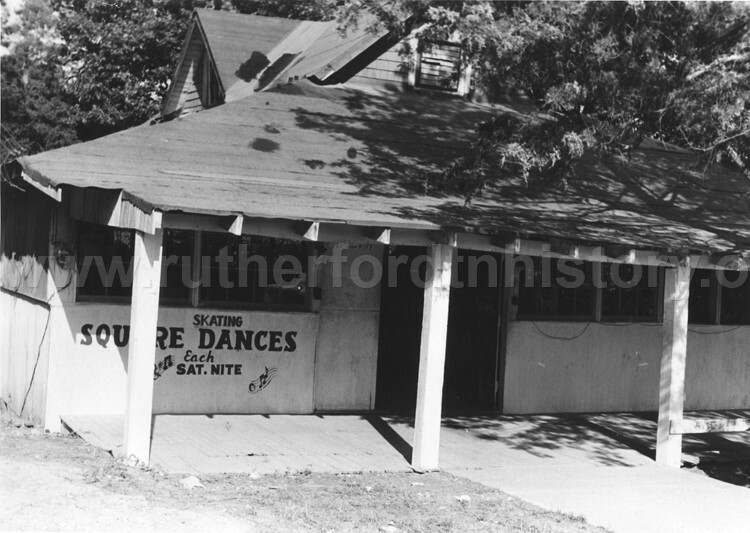 By 1931, there was on site a store, a restaurant, two bowling alleys, a pool hall, a bath house, and a toboggan slide into the water. A nearby park offered croquet, ball games, camping and picnicking. The popularity of this resort area declined following World War II. 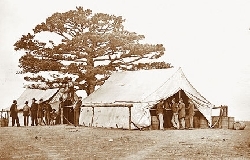 Sutlers were like mobile dry goods stores during the Civil War. 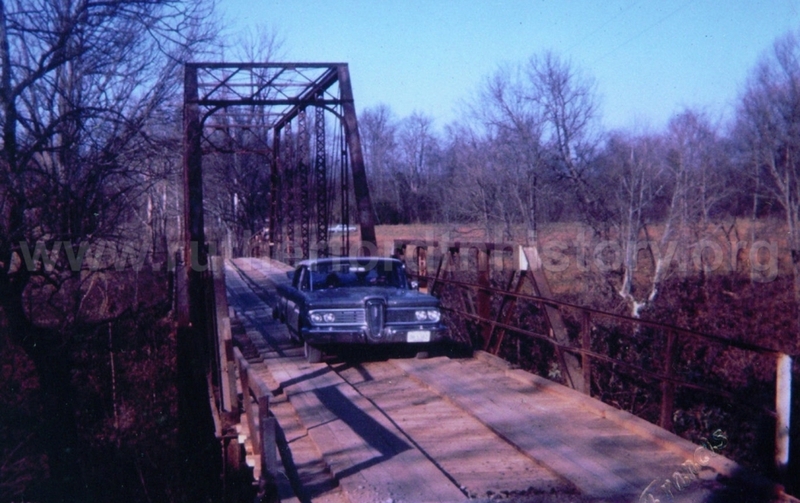 Jefferson Pike bridge over the West Fork of the Stones River. 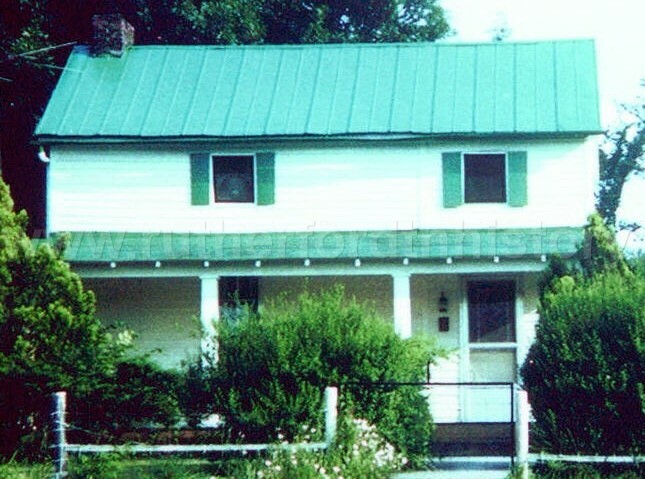 Wilson and Sara Francis home. I filmed Jefferson native Toby Francis in January of 2015. Toby shares incredible information regarding the who, where and when of ‘Old Jefferson’. Enjoy!